While it is still possible, it is not likely that you will find a car key specially wrapped under your tree this year. However, if you know where to look and how to find a great deal, you can surprise yourself with a premium used car for this holiday season. End-of-year pricing is everywhere at your local auto dealer in St. Charles. December is the perfect time to buy a pre-owned vehicle, and especially one owner SUVs for sale. Dealers are eager to lighten their inventory and are ready to work with you for optimum pricing and interest rates. Franchise and independent dealers are also ready to make deals on used vehicles of all makes and models, prices, years and more. Even though the best day of the year to buy a used car is Black Friday, know that the second best is December 31. This leaves you a little time to do your research about the kind of car you want and a dealer who will give you the most affordable price. Deals are to be had at every dealership but remember that no dealer negotiates in exactly the same way, so shopping around is important. 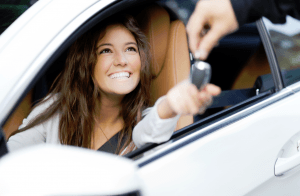 You not only need to find a vehicle that will meet your transportation needs and a reputable dealer who is willing to dicker, but financing will also play an important part in your journey. Learn more at 5 Star Auto Plaza by calling (636)940-7600. We are proud to be an award-winning auto dealer in St. Charles.